On our tour we used trails and a series of hanging bridges for a more relaxing introduction to the flora and fauna of the forest canopy. It allows a view of the forest from a different perspective, starting with a walk on the ground and then taking you to explore the treetops, an almost discovered habitat called the "canopy" with a naturalist guide. In Costa Rica Monteverde was the pioneer in these wonderful tours on suspension bridges, with the introduction of the walk, to admire the forest from the unique points of view. With SinwaTours you can cross bridges that extend through canyons and bring visitors face to face with the top level of forest cover. 90% of the organisms in the forest are at the top of their trees. Our local guides will teach visitors on each tour about the species of plants and animals native to the area. Our flat, non-muddy and strenuous trails, suitable for seniors, children and people with special abilities make for a smooth and pleasant walk. 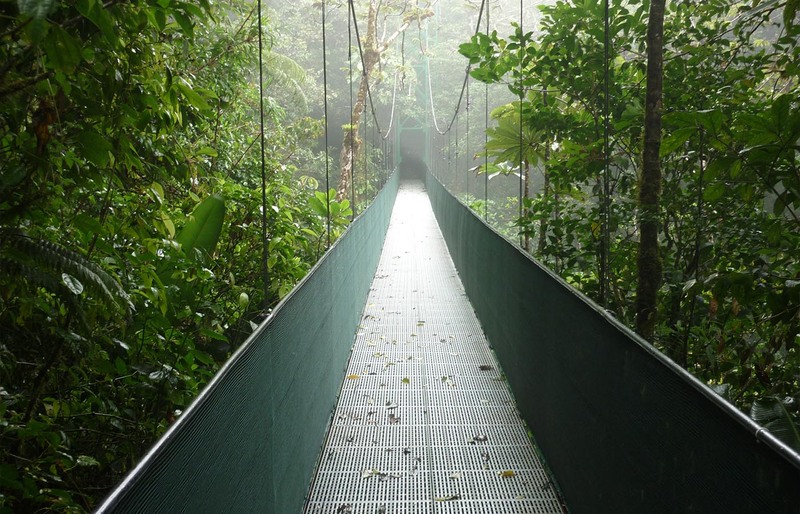 Enjoy Costa Rica's magnificent biodiversity walk and nature of admiration on our various trails through primary and secondary forests with an average temperature: 65ºF (19ºC) and Altitude: 5250ft. (1600m) above sea level. The famous quetzal resides here in season. Monteverde mammals include representatives of North and South America as endemic species. Monteverde has become an important part of Costa Rica's tourist route - despite the difficulties of access. 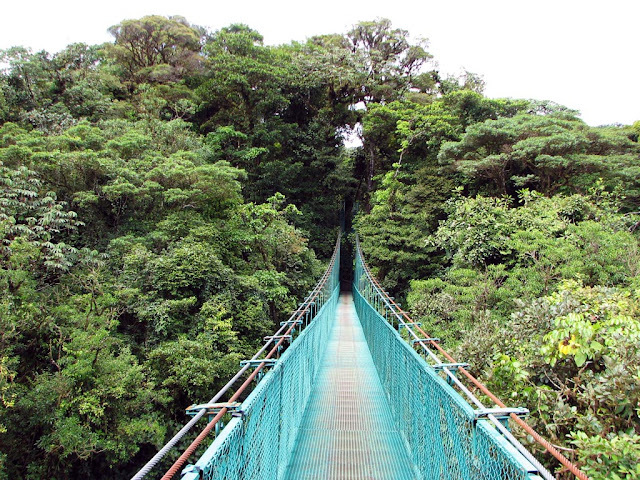 Monteverde is one of the "7 Wonders of Costa Rica". Duration of the tour: 2 hours.